Lau hada are ceremonial skirts given to a bride as part of the marriage ceremony. 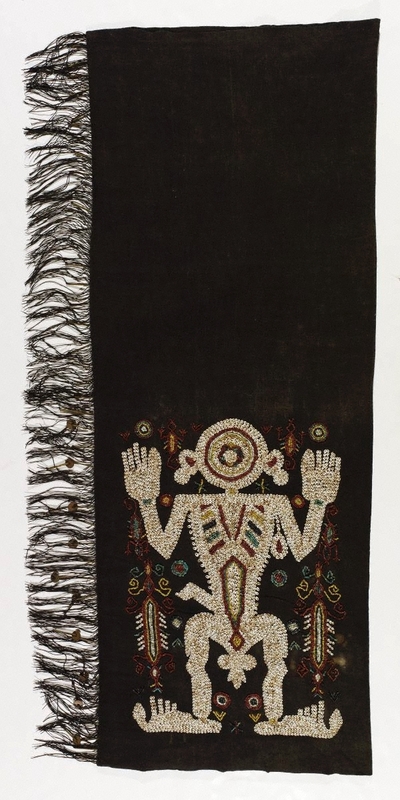 The plain cotton ground cloth has been decorated with shells, beads and seeds to create the stylised shape of a standing male figure surrounded by patterns that could be abstract representations of animals. The figure refers to fertility and the continuity of life within the community.